Kupang (123.57E 10.17S) was the chief city and port of the Dutch half of the island of Timor. There was an excellent airfield at Penofi just to the northeast. At the time war broke out, the Australian 40 Battalion plus supporting elements ("Sparrow Force", 1320 men) was preparing to deploy to the port, where they would join the Dutch garrison of 600 militia (Timor Garrison Battalion). oocities.com/dutcheastindies. Fair use may apply. The airfield was raided by a few aircraft on 26 January 1942 and more heavily on 30 January to cover the landings at Ambon. An attempt to reinforce the port with another Australian battalion and some American artillery was frustrated by air attack, and the Australian aircraft were withdrawn on 19 January. 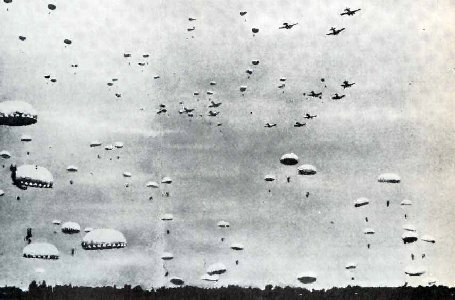 On the morning of 20 February 228 Regiment (Ito) and 300 men of 3 Yokosuka SNLF landed south of the city as another 350 paratroops of 1 and 2 Raiding Regiments dropped to the northeast to trap the garrison. Another 350 more were dropped each of the next two days. Most of the garrison surrendered on 23 February, but about 250 men escaped to th east and established a guerrilla base at Mape, southwest of Dili and some 15 miles (24 km) inland from the south coast. These killed an estimate 1500 Japanese at the cost of 40 Australians before being withdrawn in January 1943 under pressure from 48 Division.